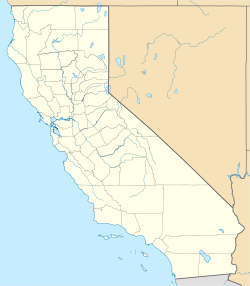 Declezville is an unincorporated community in southwestern San Bernardino County, in the Inland Empire region of southern California. It is named for William Declez, a naturalized U.S. citizen, born in France, well known for his marble business on Los Angeles Street. He opened granite quarries in Southern California in the 1860s in the Jurupa Hills on Pyrite Street, and built several Mexican public buildings. He died at age 73 on February 7, 1921 in the Southern Alps. When the Southern Pacific Railroad built a spur to the large granite quarries, it named the junction Declez and the terminal Declezville, for William Declez, owner of the granite works. Declez is a community in south Fontana. The community is located in the northwestern foothills of the Jurupa Mountains, and at the southeastern edge of the Pomona Valley. It is adjacent to the southwestern section of the city of Fontana. Declezville is at an average elevation of 938 feet (286 m).